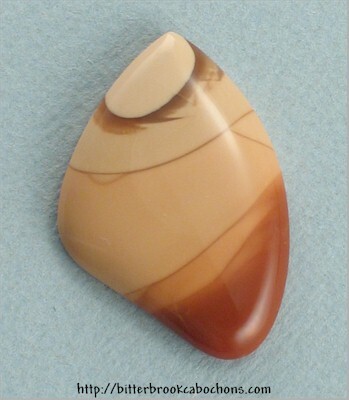 The pattern on this designer cabochon of Bruneau Jasper has me guessing. The fuzzy orb at the top looks like either the blazing sun over the desert or a really large bald spot on the back of someone's head. WHATEVER it looks like to you, it's a cool little cabochon with a super shine. 39mm x 20mm x 5mm (as oriented). Weight: 20.45 carats.